There is a saying “Marriages are made in heaven” but couples now a day are trying to modify it by getting their prewedding shoots done at places which are almost look like heaven. I am sure you are reading this article to finalize your photo shoot location in Bangalore. Since I got married recently, I know how painful it is to find the best the best prewedding shoot location. Let me present you some of the outdoor photo shoot location options I had, based on your preferences you can finalize one. Karnataka has some of the stunning places for photoshoot. If you are okay to travel you can think of getting your couple shoot done in amazing places in Karnataka. 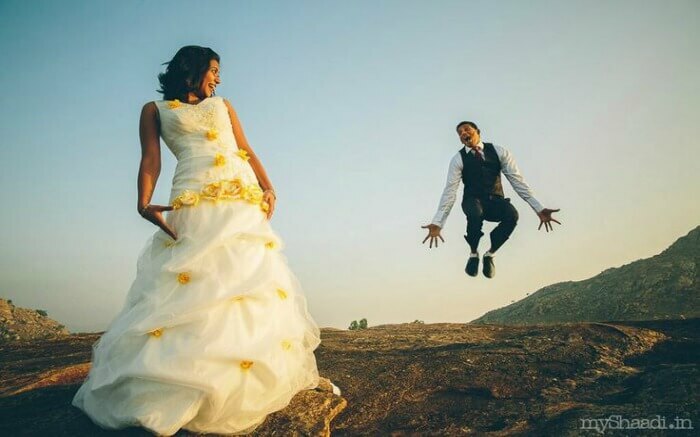 Some of the best pre wedding shoot locations in karnataka are Hampi, St. Mary’s island Beach, Karwar Beach, Gokarana, Om Beach, Coorg, Chikkamagalur etc. 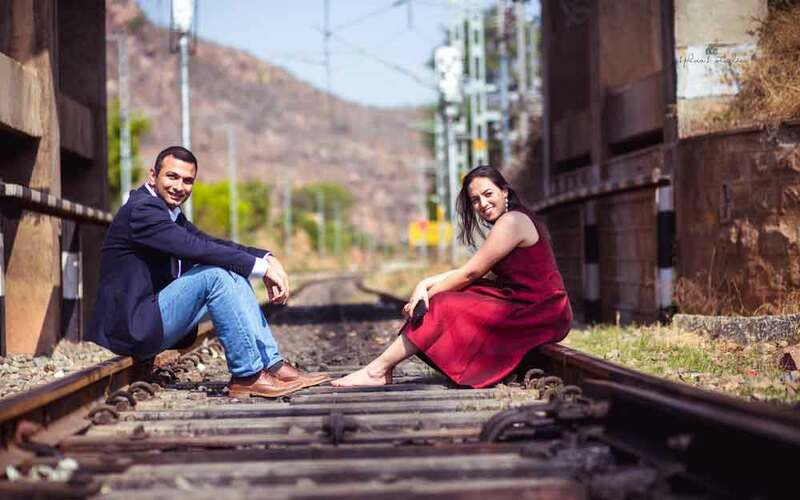 If you are unwilling to travel then here are some of the best locations in and around Bangalore for Couple shoot and prewedding shoots. Shettihalli Church is located about 200 km from It was Built in the year 1860s by the French missionaries. 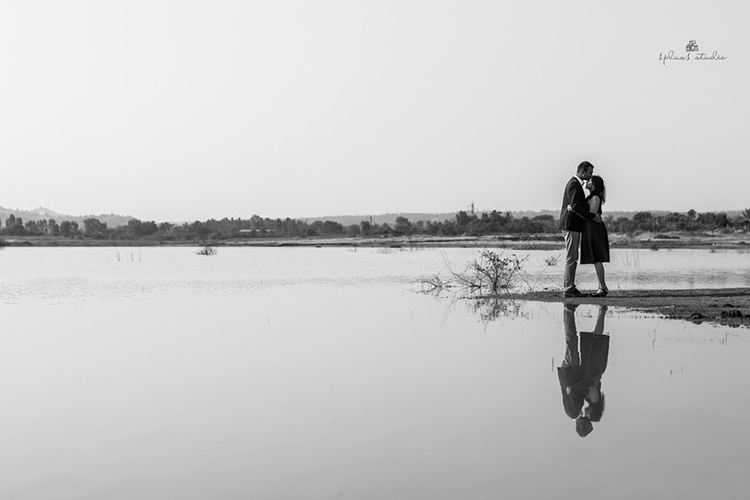 It is one of the famous pre wedding photo shoot locations in Karnataka. The church is built with a magnificent structure of Gothic Architecture and was abandoned after the construction of the Hemavathi dam in 1960. It has since then become one of the famous tourist’s spots. If you have plans to shoot a beautiful couple. Convince them to take them to Shetty halli church. Planning for a photo shoot in Bangalore palace? Yes, there is a way. But you might have to spend a bit or use somebody referral. Bangalore palace grounds can be a game changer for your photo shoot project If you manage to take the permission to do the photo shoot for a couple of hours. There is no need for explanation about this place. Melkote is the superb place to take pictures it is about 2-hour drive from Bangalore. Best spot in melkote is ” The Kalyani” with steps and Mantaps all around, which is the favorite of many filmmakers. You can produce wonderful images in around this location. For best couple shoot experience, consider this place. Lepakshi temple is one of the best photoshoot locations near Bangalore. 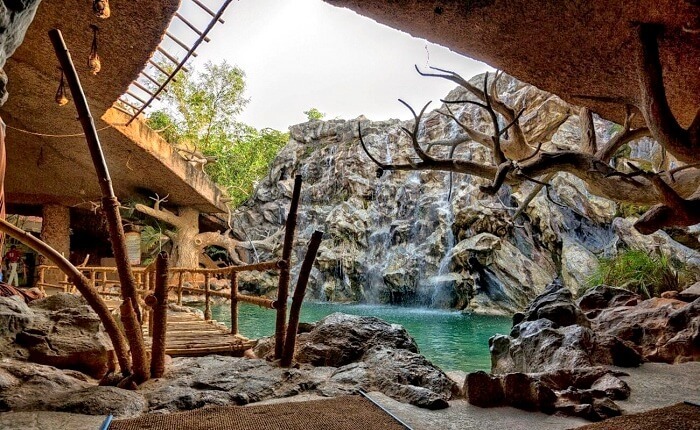 It might take about 2 and a half to 3 hours to reach this place from Bangalore. But it’s worth visiting this place. 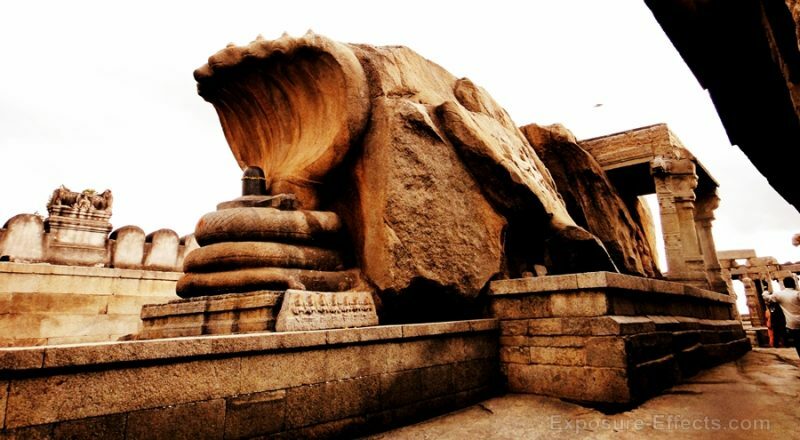 Lepakshi temple is located in Ananth Pura District of Andhra Pradesh it’s about 120 km far from Bangalore. Temple is known for its cultural and archaeological and texture which gives wow backgrounds to produce images. The temples are the location of mural paintings of the Vijayanagara kings and Kannada inscriptions. If you cannot travel far from Bangalore, no worries you can go to Bhoga Nandeeshwara Temple which is located near chikkaballapur. This ancient temple has mind-blowing texture colors which make photos look more vibrant. Bhoga Nandeeshwara Temple Photoshoot has become a trend these days. Lalbagh botanical garden has India’s largest collection of tropical plants, and it is one of the main outdoor photo shoot locations in Bangalore. Kempegowda Tower, Glass House, Kapok Specimen, Lake, Japanese Monument, Tree fossils, and a lot of old Trees can add a lot of flavors to your photography skills. If you love nature and trekking, Makalidurga Trek can be one of the best photogenic places for your prewedding shoots. The route, in a way, resonates with their journey to their wedding as well. Makalidurga has located just 60 km on the outskirts of Bangalore, the place is surrounded by Lake, Railway Track, Hills views would add up plenty of background opportunities for photographers. Stealing the show with a lake surrounded by verdant greenery, JP Nagar Outskirts is a serene locale for your special photographs to come to life. Since it is not very well known the place you will have an advantage over privacy. Try to reach there early morning to get best out of it! 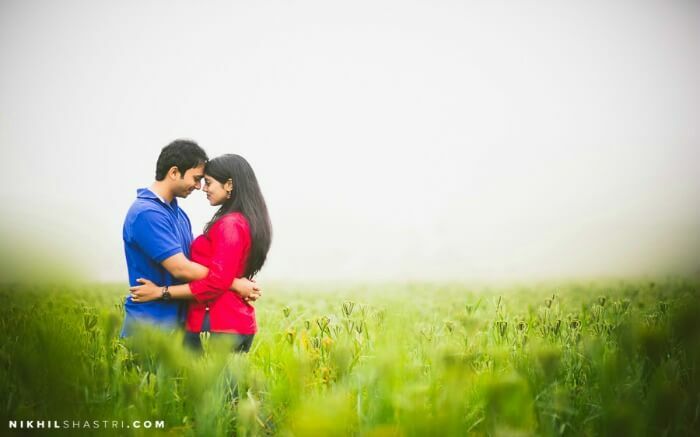 Bangalore Kanakapura Road offers green and beautiful background for prewedding shoots. Photographer can use his creativity to get best out of this location as it gives a variety of vibrant colors in the background. If used correctly, this location can be one of the wowest couple shoot locations! Nandi Hills or Nandi Betta is an ancient hill fortress located in Chikkaballapur district. It is about 60 km away from the city of Bengaluru. You can take stunning pictures during sunrise ensure you reach this place by 6 am. 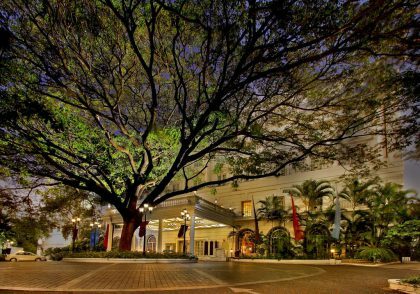 It is a luxurious place located in Bangalore. It has a classic touch and gives you a deep pleasure. It is an absolutely wonderful world and you will have the stunning pre-wedding photo shoot with your loved one. Choose the costumes which suit you and the location . Worth going with your partner and you will come again and again with your partner after seeing this place. A fabulous choice for a pre-wedding photo shoot is Elements Resort. This location can be one of the best couple shoot locations! You will have the perfect backgrounds and this would be the perfect choice for the pre-wedding photo shoot. It is located in Kanakapura Road, Bangalore. 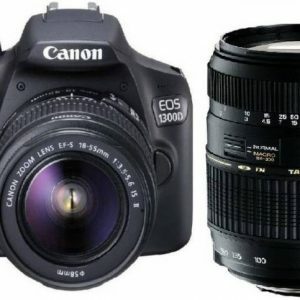 Make the place more beautiful by choosing the best costumes and photographer. A day out with your partner is the memorable time of your life. It is a unique place and is designed with the right theme. It is a good place to hang out with friends too. Well furnished and wonderful place for the photo shoots. It is just like a cave, the texture look vibrant in the photos and adds a charm to your frames. Confident amoon resort is one of the best places for photoshoots in Bangalore. It built in egyptian style, If you can afford to pay for the resort this place will not disappoint you with results. 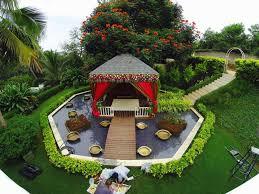 These are some of the best places for pre wedding shoot in Bangalore, For the picture perfect clicks, you can choose these places undoubtedly. They are not just meant for couple shoots, you can use these places for shoots such as model shoots, kids photo shoots, portrait photography etc. You will enjoy being with your partner in such a wonderful places. If you have come across any other beautiful outdoor photo-shoot locations which are ideal for prewedding shoots, please drop them as comments. why are photos so dull ? Hello! We have compressed images to improve page loading experience. We will work on uploading better clarity pictures. Hi this is Sushmita from Bangalore, I was going through this article on your website about the best pre wedding shoot locations in and around Bangalore and came across this Lepakshi temple. As there are no direct contact numbers and the one given on internet doesn’t work. Just wanted to know if they directly allow photoshoots or if there are any procedures to follow.. Like if we need to take permissions and all. If you could let us know, it would be really great. Many thanks!! Hi Sushmita, We just checked with one of our photographers. According to them, there is no need to take any permission to shoot at Lepakshi Temple. However to confirm try searching for any shops near lepkashi temple on google and get it confirmed. In Lepakshi now dept. Of Archaeology are not allowing couple photoshoot. Don’t be disappointed after long ride and hours of planning. Info from Anushkart photography. Hi, We are planning for a pre wedding photo shoot at Bhoga Nandeeshwara temple. Is there any procedure to follow to get the permission for the shoot? i heard that Cubbon park and lalbag are not allowing for photoshoot is it correct, please provide the exact information. It’s allowed in some parts of Cubbon park. They have restricted in few parts.